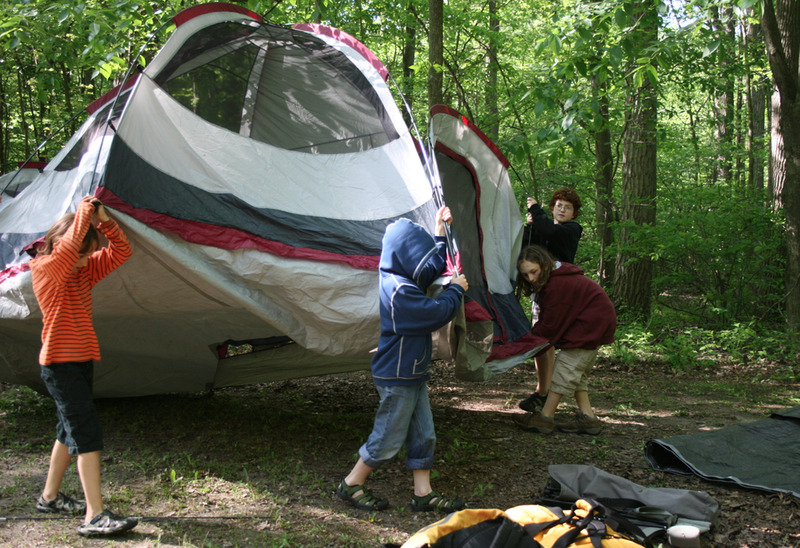 As part of the Outdoor Education curriculum, Prairie School elementary students attend 2-3 camping trips a year. The first trip, in October, is held on the school campus. This is a way for students to learn and practice their camping skills in a familiar space and close to home. By February, the Middle and Upper Elementary are ready for a greater challenge. MacKenzie Environmental Education Center in Poynette, WI creates custom programming for Prairie School, and the children enjoy 2-3 days of log cabin camping and advanced level programming. By May, the upper elementary students are ready for a more challenging experience out of state. The location of this trip is a collaborative decision between the students and faculty. This is the camping trip that the older students look forward to each year as it promotes independence and creates challenges that are invaluable life lessons. During all of the camping trips Prairie School students are responsible for planning the trip, the budget, the packing lists, labeling and keeping track of their gear, setting up campsite and a proper camping kitchen, cooking meals, cleaning their mess kits, making campfires, and much more. In the fall, they harvest fruits and vegetables from the school garden and prepare meals, storing or freezing them for future camping trips. Our annual festivals and celebrations follow the seasons, such as the Harvest Moon Dinner, or Winter Solstice Spiral. Some celebrations are spontaneous, like the First Migratory Bird Sighting Celebration in the spring, and the First 2" of Snow Celebration. In the winter, when the students can measure 2" of snow, elementary classes are canceled. The students gather their sledding gear and head to the sledding hill. After sledding they gather around our stone fire circle, drink hot cocoa, and warm themselves by an open fire. Whether the celebration takes place in the classroom with the students and teachers, or at night with the whole school community, each gathering is a time to celebrate our friendships, our school, and our community. Prairie School of DuPage holds three all-school concerts and performances a year: a winter concert, a spring concert, and an elementary theatrical production in the late spring. Prairie School of DuPage families are a diverse group of committed and passionate parents. Our families commute from Cook, DuPage, Will, and Kane Counties to be part of the Prairie School of DuPage. Each family plays an active role in their children's education, and supports the classroom efforts at home. The parent community plays a large part in the school culture. The community is open-minded and respectful of individual differences. They are supportive of each other, the school and the children. While parent volunteerism is not required, Prairie School families are quick to lend a hand when there is work to be done. 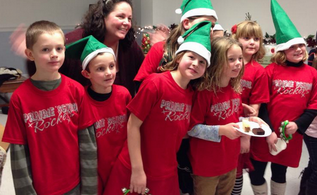 Prairie School families come together 5-6 times each year for community celebrations and gatherings. Each Prairie School student benefits from the entire community coming together to create a multi-cultural, multi-generational extended family.